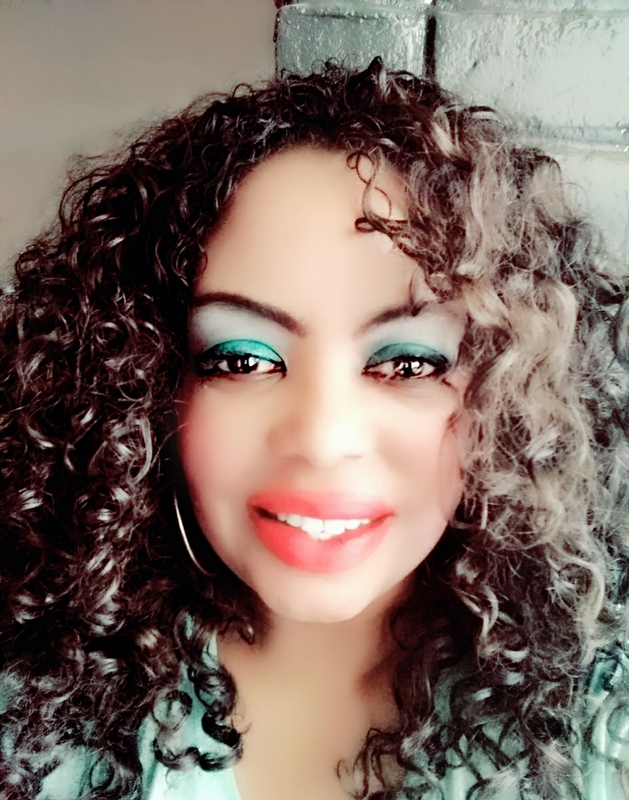 Casting Calls And Auditions | I post the latest Casting Calls and Auditions From acting, modeling, singing and so on! I’m an Actress/Celebrity Blogger! I post Entertainment News and Celebrity Gossip also. Here’s how and where to watch all the Harry and Meghan-related programming up to and including live coverage of the big day [Editor’s Note: This story will be updated as more programming alerts come in. 8 pm: ”Harry & Meghan: A Royal Romance,” “Lifetime” Lifetime, purveyor of pop culture biopics and Hallmark-style rom-coms, found its calling with this feature-length treatment of how Prince Harry (the appropriately redheaded and bearded Murray Fraser) and Meghan Markle (Parisa Fitz-Henley of “Midnight, Texas”) met, fell in love, and then became media sensations when their relationship was revealed. Although this plays up the fairy-tale aspects of their relationship, it doesn’t ignore some of the rougher patches such as the “brooch” incident or Markle penning a statement for Elle to address the racism she’s encountered her whole life, including now that she’s in the global spotlight. This will no doubt be perfect Mother’s Day fare. 10 pm: ”Harry & Meghan: A Very Modern Romance,” BBC America BBC America’s one-hour special delves into the social background of each of the players in the romance, exploring Meghan Markle’s women’s rights advocacy and Prince Harry’s shared interests. That Markle is a divorcee and an American makes this a far more modern relationship for the Royal Family, since the last time something similar happened – 82 years ago, in fact – it led to the abdication of the throne (see: “The Crown” Season 1, Episode 3, “Windsor”). 10 pm: “Royal Wedding Watch,” PBS The continuation of PBS’ week-long coverage of the Royal Wedding preparations. 10:30 pm: “Royal Wedding Watch,” PBS The continuation of PBS’ week-long coverage of the Royal Wedding preparations. 4 am: Royal Wedding Live Coverage, BBC America No, that is not a typo. That is 4 am Eastern time. Even taking into account the time difference between London and the East Coast, this is damn early. But royal diehards who don’t want to miss an iota of the anticipation and the armchair chapeau critiques, starting this early is a must. BBC America’s live and direct simulcast of BBC One’s coverage provides that British legitimacy, insight, and flavor to the analysis. Coverage will also include the carriage procession from St. George’s Chapel through Windsor Town returning to Windsor Castle via the Long Walk. For the the Yanks who might want sleep, an encourage presentation of the wedding will air at 10 pm. 7:30 am: ”The Royal Wedding Live with Cord and Tish!” HBO For a very distinctly American take on the wedding, comedians Will Ferrell and Molly Shannon are back as their Pasadena broadcast alter egos Cord Hosenbeck and Tish Rattigan, who had made a splash with their live Rose Bowl commentary this past New Year. Expect inane conversation, misunderstandings, impromptu singing, and much more as the hosts broadcast live from London. Old friend Tim Meadows and other guests will stop by to add to the hijinks. HBO will replay the event at 9:45 pm. 10:30 am: ”Dater’s Handbook” (2016), Hallmark See description below. For those gaps of time without Harry and Meghan programming, there’s still plenty to watch to familiarize yourself with Markle. As a working actress, she has a few projects on her resume that are worth checking out. ”Suits,” USA Network One of USA Network’s last “blue sky” programs, “Suits” follows the talented Mike Ross (Patrick J. Adams) navigate various financial and legal issues for Pearson Specter Litt, even though he didn’t technically have a license to practice law for most of the series. During this time, he met, romanced, and eventually married Rachel Zane (Markle), a senior paralegal/part-time associate. Both actors left the show at the end of Season 7 when their characters moved to Seattle to handle class-action lawsuits. Fun fact: Meghan Markle’s legal first name is also Rachel. Available to streamon USANetwork.com, the USA Now app, iTunes, Vudu, Amazon Prime, and Xbox One. ”When Sparks Fly” (2014) Before Hallmark began airing its reality show “Meet the Peetes,” most people of color on the network were relegated to playing the sassy best friend in the channel’s rom-coms. Markle is one of the few who got to be the star (the hapa Katrina Law also has this honor) of her own movie. “When Sparks Fly” is a typical prodigal daughter returns tale set against a patriotic Fourth of July backdrop. Markle plays Amy Peterson, a big-city journalist who goes back to her hometown to cover the Independence Day festival. In the process, she rediscovers the man she left behind. Available to stream on iTunes, Amazon, YouTube, Google Play and Vudu. Subscribe for the latest Celebrity News and Celebrity Gossip! Childish Gambino broke the internet with the powerful video for his new song, “This Is America“. I’ve watched this video over 20 times, no other video has ever caught my eye like this one. The video has a visual message of gun violence in America. The video was Directed by “Atlanta” director Hiro Murai. Childish Gambino & dancers, choreographed by Sherrie Silver and it was amazing I loved it! Childish Gambino took the internet by storm with the release of his new single “This Is America” loaded with haunting images of black oppression and gun violence. Yes, this is singer SZA sitting on a car toward the end of the video. When I first seen Kylie Jenner’s bodyguard “Tim Chung” I knew she hired him because he was handsome and just her type. You can’t deny the resemblance of the two Tim and Stormi. Looks like I’m not the only one who can see the resemblance. People Are Talking! I’m SORRY BUT STORMI LOOKS JUST LIKE KYLIE’S BODYGUARD “TIM CHUNG” YOU CAN DENY THE RESEMBLANCE!! Word on the street is Kylie hand picked her bodyguard Tim Chung and we can surly see why. He’s hot!! Tyga says Travis Scott and Tim Chung both needs to requesting a paternity test. Instagram says video chat and the new Explore page will be rolling out to all users over the coming weeks. Instagram is rolling out a host of new features today, including video chat and a redesigned Explore page. The Explore page will now feature buttons on the top of the page in a carousel, giving users the option to swipe through subjects like animals, photography, and architecture to see more posts about that particular topic. The new update means you’ll be able to browse more content related to your interests. 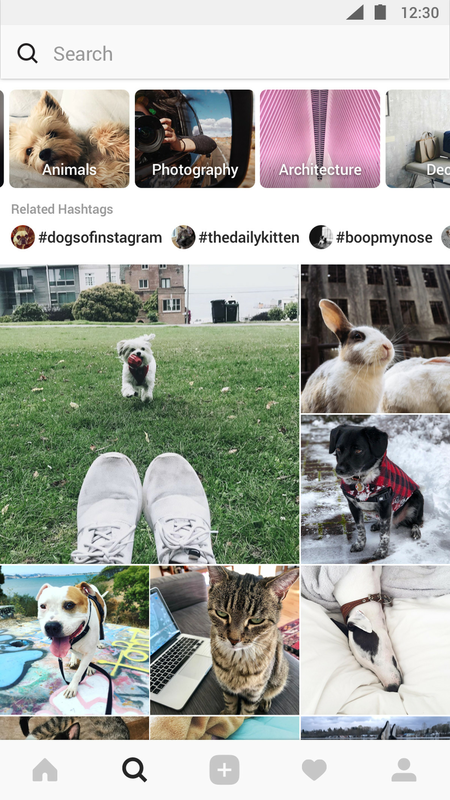 Instagram’s Explore page is traditionally a page where Instagram compiles posts it thinks you might like, and the page is designed to let users discover new content, people, or brands to follow. Explore has been rejigged several times in the past, including updates to show photos from people you actually know, bringing Stories onto the page, and making videos more prominent. Instagram is also adding video chat for users, which is currently in a testing phase and will roll out globally “soon.” To start a video chat, just tap the new camera icon at the top of a direct messaging thread with the people you want to call. To create a group conversation or direct messaging thread on Instagram, just tap on the paper airplane icon in the top right corner of your feed, tap the + sign, then select two or more people to start a group chat. Video chat allows you to chat with one person or a small group, and you can minimize the video screen during the conversation and continue to chat while browsing Instagram. Video chat has been a rumored feature for the past few months, though Instagram hasn’t specified how many people can participate in a video call at a given time. Today’s update adds to a host of features that Instagram has been building to turn the app into a full-fledged messaging service, rather than the photo-sharing network it began as. This story comes from The Verge. Instagram says it’s addressing this with the launch of a new”bullying filter” which will hide language that’s used to harass and upset people. This filter is based on machine learning technology, and expands on Instagram’s earlier efforts with comment filtering technology. I believe that Dr. Shiong is the answer in finding a cure for Rheumatoid Arthritis… with the help of Dr. Shiong team maybe a cure for Rheumatoid Arthritis aka “RA” will become a reality. Dr. Patrick Soon-Shiong may have found a breakthrough for Cancer, so I believe he can also find other cures. I was first I was diagnosed with Juvenile Arthritis ” In the legs only”when I was 9 years old I was treated for 6 months then I was cured 🙂 Well in 2012 I was diagnosed with Rheumatoid Arthritis in the hands,fingers,wrist,upper and lower arms, and knees 😦 the pain really started to get worse in 2013. So now I’m having hands and knee therapy.. I will have surgery on my hands and fingers the x-rays also show that I have Carpal Tunnel in both hands. Biotech billionaire Patrick Soon–Shiong — one of L.A.’s wealthiest residents — is expected to take ownership of the Los Angeles Times. But I’m asking him and his team for help in finding a cure for Rheumatoid Arthritis. Dr. Patrick Soon-Shiong, 65, has lived in Los Angeles for 38 years and is one of its richest residents, with a fortune estimated at $7.6 billion by Forbes. He holds a small ownership stake in the Lakers, runs a cluster of healthcare companies, operates a cutting-edge biotech laboratory in Culver City and, last year, rescued six small California hospitals. He has pioneered medical treatments and performed scientific experiments for NASA’s Space Shuttle program. Last year he twice visited Donald Trump just before the president’s inauguration (Soon-Shiong said he is politically independent). I have severe rheumatoid arthritis, I was in AbbVie’s Upadacitinib (ABT-494) Rheumatoid Arthritis study. I let the study group know that I had gotten 3 blood clots but they said it wasn’t because of that medication so I kept taking it then I had 3 blood clots in the lungs and was hospitalized. And that I believed that I’ve gotten the 3 blood clots in the lungs from the study meds. Upadacitinib. Now AbbVie’s Upadacitinib (ABT-494) is saying that they Meet All Primary and Ranked Secondary Endpoints in Second Phase 3 Study in Rheumatoid Arthritis. They also wanted me to sign the Research consent forms everyone know that 7 people got blood clots out of a thousand so I decided to leave the study. I knew that I was one of the participants the group that had gotten blood clots. Even thought they said that their drug didn’t cause it ” But I know it ” I’ve never in my life gotten blood clots. So I left the study. People need to be aware that this study medication for rheumatoid arthritis is not safe two patients have died that I know of and 7 others has gotten blood clot because of this medication and I was one of the seven. This drug does not need to be approved by the FDA and people need to be aware it is not safe. I have a copy that AbbVie wanted me to sign to continue the drug showing that at least seven people have gotten blood clots and I would not sign it at all I terminated this study. I’m attaching portions of 2 copies of the forms below.below..
Also I notice that both of AbbVie’s forms said that the following cancers have been reported in 2 or more participants dosed with Upadacitinib breast & skin cancers & lymphomas a Type of blood cancer. So Cancer & Blood Clots.. I started on this study medication around November 2017 when I first begin taking this drug I started to have “shortness of breath” told the Rheumatologist and the nursing team at the research center about this problems I was having with the study meds the Physician told me oh your shortness of breath isn’t common from the study meds they don’t do that. So I kept taking them my breathing kept getting worse I kept complaining about the problem the study Rheumatologist at the research center told me to see my family doctor. So I did I went to my family doctor everything checked out ok. But I was getting worse I could just walk from room to room & I could barley breath so I decided to go to the Emergency room they also ran test and couldn’t find anything until I to them to do an X-Ray of my lungs so they did ” That’s Wen The Saw 3 Blood Clots In My Lung” and immediately put me in the hospital. After hearing about 2 people passably dying because of this drug and I had problems with this drug since day on along with getting 3 blood clots in the lungs I can’t let this drug go to market it to dangerous. The Study I was on was Upadacitinib (ABT-494) is a JAK1 selective inhibitor to treat Rheumatoid Arthritis. Now Casting – People in the Los Angeles with stereotype breaking stories!! Are you constantly judged based on your looks? Do you have any hobbies, interests, phobias that would shock people? This is the show for you! Participants will be interviewed on the streets of Los Angeles and their stories will be used as content for the game show Snap Decision. Participants must live within an hour of Los Angeles. Participants must be over 18 years old. Participants must be US Citizens. Participants must be willing to share personal information about themselves on television. Now casting season 2 of Beat Shazam and looking for contestants nationwide!!! This is your chance to win up to 1 MILLION DOLLARS! Casting only has a few weeks left, so please apply as soon as possible! Be sure to check out our casting flyer listed at the bottom of this email for details of how to apply – www.beatshazamcasting.com. We are also looking for many speciality teams for the show – listed below.